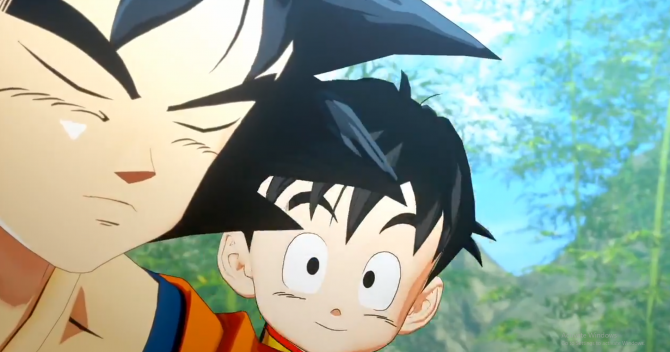 The Japanese official Twitter account for Dragon Ball games tweeted today a visual showing 3D models of Goku holding his son Gohan, from the upcoming action RPG tentatively named Project Z. 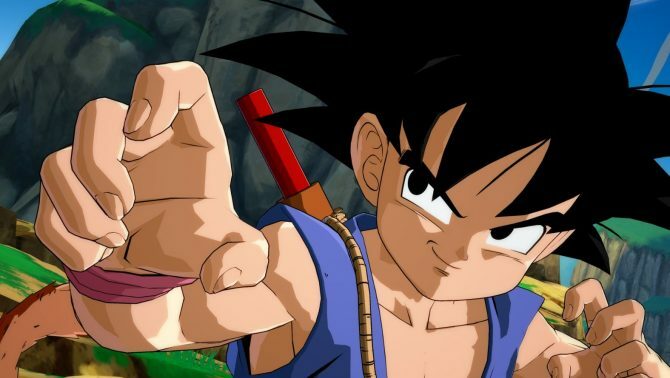 The next Dragon Ball game… is an Action RPG set in the universe of “Z”!! The world of Dragon Ball, as nostalgic as ever, depicted in a way you’ve never seen before! Stay tuned for Project Z related news coming soon! There might be an announcement during the Dragon Ball FighterZ world tournament on January 26 and 27?!? Judging from the tweet and the visual, Project Z will cover story arcs from the beginning of the Dragon Ball Z anime. As in, events which follow Goku and Piccolo’s fight, when Raditz reaches earth. It’s just a guess, but the game’s story will probably cover events from there till at least the end of Frieza’s arc and the legendary scene of Goku turning into a Super Saiyan for the first time. I never got all the flak this arc gets, especially all the criticism and jokes on the whole planet Namek takes forever to explode thing, when other anime over the years ended up doing much worse pacing than this (Hello, Bleach). And even then, the Dragon Ball Kai anime remake fixes everything too. Dragon Ball is a masterpiece just as much as other shonen classics like City Hunter and Hokuto no Ken. Everything starting Dragon Ball Super is another story though. I used to constantly trashtalk GT back when it aired but now I realize how lucky we still were back then. If they’re planning for a large-scale Action RPG, covering this much should be alright as it’ll imply a fully explorable Earth and later on Planet Namek. The Frieza arc is perfect too for gameplay mechanics like choices affecting the story, and past games already did similar things. Anyway, all of this is pure speculation for now and I can’t wait to know more about Project Z. 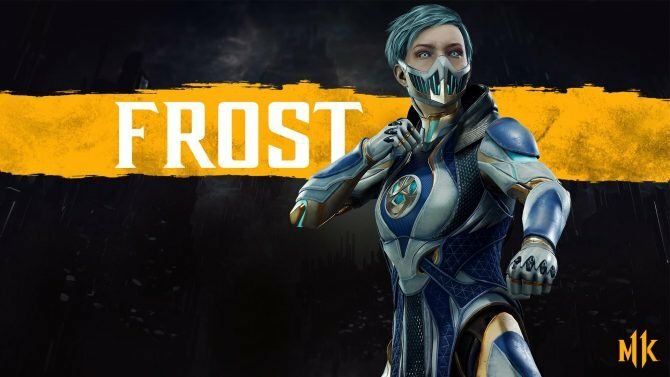 Feel free to share your own theories on which story arcs the game might cover and how. Project Z was first announced by Bandai Namco via VJump magazine a few days ago. 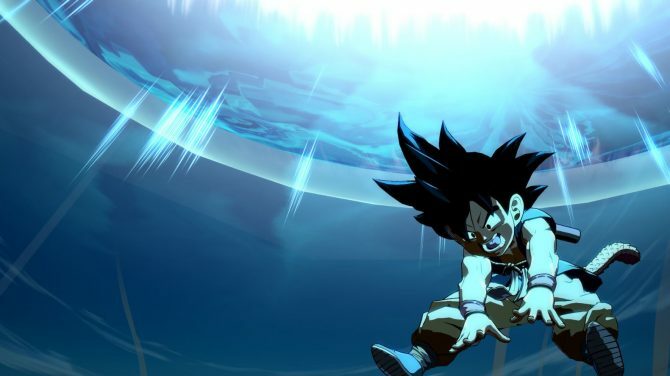 More information on Project Z will be coming on January 26 and 27, during the Dragon Ball FighterZ World Tour Finals. There, Bandai Namco will probably show the first trailer, announcing the game’s platforms and a release date estimate.